Joining your local Idea Store or library is easy and FREE. 2. Where is my nearest Idea Store or library? There is an Idea Store or library near you. You can check your borrower information and renew items on loan via the Online Catalogue. Call the 24 Hour Telephone Renewals Line [charged at a UK local call rate] 0333 370 4700. 4. I want to use a computer; how do I book one and what facilities are there? There are three ways in which you can book a computer. 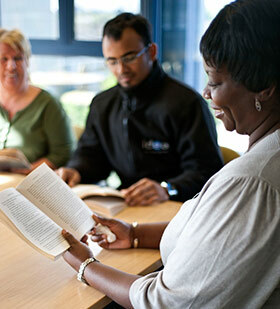 Idea Stores and libraries have a number of facilities available including free Wifi and a range of accessible equipment for users with particular needs. 5. I am unable to get to an Idea Store or library. Can I still become a member? Yes you can become a member. Idea Stores have a Home Delivery Library Service. Becoming a member also gives you access to our 24 Hour Library. 6. I have lost my library card. How do I get a replacement card? You will need to go to your local Idea Store or library with proof of your name and address and speak to a member of staff. A small charge will apply. 7. My child needs help with homework, where can we go? Idea Stores run Homework Clubs that you can attend. Idea Stores have a range of online encyclopaedias and dictionaries that you can access from our PCs or from home. 8. I have just become a member, what activities can I get involved in? Idea Stores run a wide range of regular and special activities for adults and children. 9. Where can I get a copy of your Course Guide? You can pick up a Course Guide in a person at your local Idea Store or library and at one of the Idea Store learning centres. 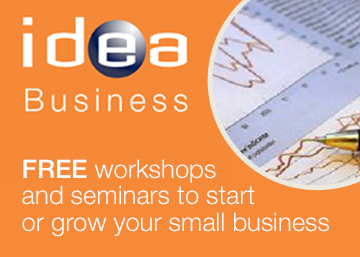 You can also view online or download a pdf copy of the Course Guide from the Idea Store website. 10. I know which course I want to do, how can I enrol? You can enrol in person or over the phone. 11. I am doing some research and need to find some in-depth information. Who can help me? Idea Stores has 24 Hour Library resources for different types of enquiries. 12. Are there any reference materials that I can access from home? If you are a member of Idea Stores, you can access Idea Online which holds online encyclopaedias and dictionaries. 13. What Newspapers and Magazines do you hold? Idea Stores take a wide range of Newspapers and Magazines. If you are an Idea Store member you can access some newspapers online. These services are FREE to use. The Local History Library and Archive Service also hold Newspaper and Magazines. 14. I want to research my family history. Where do I begin? The Local History Library and Archive Service will assist you in researching your family history. You could also look at our Discover your Family History page. 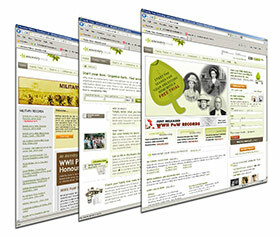 If you are an Idea Store member you can access Ancestry Library Edition, if you are in an Idea Store or library. 15. I have seen some photographs on your Digital Gallery. How can I get copies? 16. How do I apply for a job at Idea Stores? If you are interested in working for Idea Stores, you should look out for adverts as they appear in the Council's weekly paper, East End Life and on the Council's web site. Only application forms in response to advertised vacancies will be considered. 17. I would like to arrange an Idea Store Tour. How do I do this? First you would need to decide what sort of tour you would like by choosing from one of these options. Then you will need to contact Sergio Dogliani, Deputy Head of Idea Stores atSergio.Dogliani@towerhamlets.gov.uk to discuss the arrangements. 18. How do I hire a learning lab? Details of the Learning Labs at each store can be found on our Room Hire page. 19. I am a local teacher, can I bring my class to our local Idea Store or library? We are very happy to arrange a special tour, or a series of tours, for your class to show children what we have to offer them. We will also talk to them about our great programme of after school and weekend activities. Our staff also welcome any invitations to go to your school and will do presentations at events for parents. Please contact your nearest Idea Store or library.